This week I'm all about someecards. I love them. I love a good, sarcastic one-liner. I found a few this week that cracked me up & I wanted to share them on OHP. 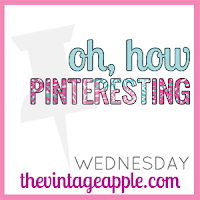 I think I must have been really cranky while pinning this week because most of these are not very nice! I love this. I want to get one of these blank signs to carry with me so I can say this. Source: spamwebsite.com via Elodia on Pinterest Soooooo true. Source: someecardss.tumblr.com via Brandy on Pinterest The only time this is sometimes OK is in the case of a Twitter update. I can never make things brief! Source: goatkult.tumblr.comvia Joh Anna on Pinterest Seriously, so many people's lives would be much better if only they'd listen to me & do what I say! How hard is that? Source: someecardss.tumblr.com via Kennedy on Pinterest I totally thought of my bff Breann here because we have called each other with information like this before...as if it's breaking news. Then we sit & discuss the pictures together and share our favorites. Yes, I am not-so-secretly a horrible person sometimes. Source: spam via Ka Osswald on Pinterest Every 28 days. Stop the whining men...it's a little sniffle. Source: someecards.com via amber M on Pinterest Ha! Source: someecards.com via Sarah E. on Pinterest I hate working out. I'm just so lazy. Source: imgfave.com via Erin B on Pinterest Yeah, Pinterest is technically work for me, because I'm a stay at home mom, right?! Hello...I'm researching here. And you get to reap the benefits, so deal with it & eat your delicious treats & enjoy that beautiful wall hanging I made today. Source: someecards.com via Lauren on Pinterest Especially if it comes in a pretty bottle or box! Source: someecards.com via Shea on Pinterest Yes, and make it as vague as possible, please. Source: typepad.com via Whitnee on Pinterest My refrigerator is covered in little magnetic pads of paper and dry erase boards for this reason. I am obsessed with lists and I enjoy seeing my progress. Source: someecards.com via Peggy on Pinterest Again, how hard is it to do what I tell you to do? Source: someecards.com via Angel on Pinterest Well, that was fun, wasn't it?! 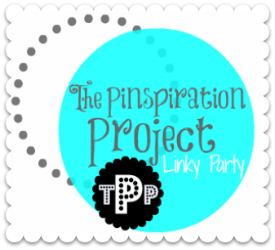 Follow me on Pinterest and we can be sarcastic together :) And also, if you're the crafty, foody, beauty, DIY type or have ever made something from Pinterest, make sure to link up to The Pinspiration Project going on right now. Awesome list! Ha ha ha :) Love em! Ha. I pinned one of those in my post today! Hola, thanks for stopping by via Mom's Monday Mingle and leaving some GFC love and support! I appreciate it. I reciprocated the love and support and am now your newest GFC friend #405. Looking forward to getting to know you and yours! oh thank you SO MUCH for sharing this. i need one of these sent to me daily. you had me CRACKING UP! Thank SOOOOO much for the laugh! I enjoy these very much. And thank you for linking at Weekend Blog Walk. Can't wait to see what else you got!